We provide the best accounting services in UAE in the areas of accounting advisory, accounting supervision,outsourced accounting solutions tailored to meet different industry needs. Well organized, meaningful financial records are the foundation of a successful business. Our qualified team make handling day to day book keeping and accounting tasks a breeze. Out of all the Accounting Services inUAE, our team is the most dedicated, taking critical care of all your accounting functions. Our Outsourced Accounting Services can save you a ton of money every year, with the utmost accuracy and guaranteed confidentiality. We don’t just aim to offer you some accounting services – we love forming productive business relationships with you that last for generations! Join hands with the perfect accounting Firms in UAE to get uncompromised quality, speed, standard, efficiency and savings in the arenas of accounting, taxes and daily bookkeeping. We also offer excellent payroll maintenance, whilst guarding your details, perfectly taking care of your salary slips and monthly remittances. We reconcile and tally various statements tediously and maintain a steady momentum even through huge volumes of transactions.Accounting and bookkeeping is a need for every small to large business. Every business requires reliable, accurate and timely financial information to monitor its performance and make timely decisions. Our professional qualified accountants understand this importance so they work towards achieving these goals of our clients. 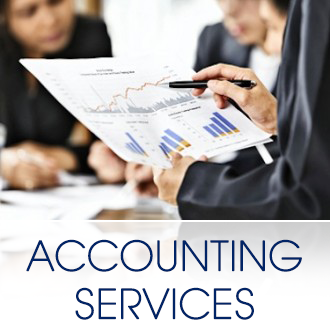 Our team offering Accounting Services in Dubai are very well versed in most of the popular accounting services from around the globe like Peachtree, IRIS, QuickBooks, MYOB, Sage, Pastel, etc., all our solutions are customized to suit your individual needs that are carefully designed to bring you big gains in productivity. We have dedicated team of accounting professionals with unrivalled range of specialist industrial knowledge to take the role of your accounts department.